Description: Mistress Casey gazed into her crystal ball, the swirling mists of time resisting her magical talent for seeing the many possible futures. Normally an adept and powerful seer, the shifting visions her mystical orb revealed to her made the patterns of fate more confusing. She saw herself wandering about her spacious abode, looking for something. Her skin tight rubber gown hugged her many curves, but also made it difficult to breath at times and compressed her gut terribly. It was her gut that troubled her, as it roiled, gassy pains disturbing the seductive sorceress. Bending over to find some relief, a fart trumpeted from her round posterior. So the vision went, her searching fruitlessly and tooting out a miasma of intestinal fumes. Her quest leads her to the front door, unaware that it had been inscribed with a lethal sigil. Without warning, her head explodes in a gory plume. Her body remains standing for a few seconds and then falls, twitching, to the floor, a dark puddle of crimson forming as her lifeТs blood spurts from her neck. Then, the vision ended. УThat canТt be right.Ф she thinks, confident in her ability to detect such deadly enchantments. Focusing, she once more peers into the crystal ball. The new vision shows her, again, wandering through her mansion, fearful and on guard. The sibilant sounds of her gassy gut incongruent with her awe inspiring beauty. Suddenly, a masked assailant holding a large ax appears behind her. 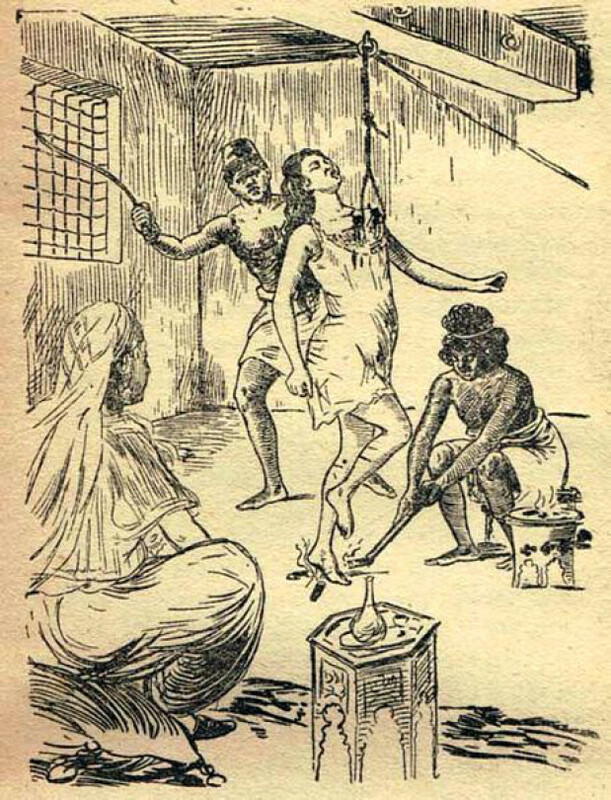 Before she can react, he swings, decapitating the flatulent fortune teller. Again, her body falls, blood gushing from the stump where her head used to be. The vision ends with her body twitching and farting, as she quickly bleeds out. Disgusted with these bizarre apparitions of the future, she discards the glassy globe and begins to walk away. A strange light stops her and she turns to see the crystal ball glowing brighter and brighter. As she bends down to look closer, a discharge of magical energy destroys her head in a shower of blood. The visions become reality, and the enchanting witch dies, her headless body shaking and farting, her blood leaking out to paint the floor around her. Fetish Elements: Fart Fetish, Flatulence, Fetish Clothing, Tight Clothing, Magic, FX, Beheading, Blood.